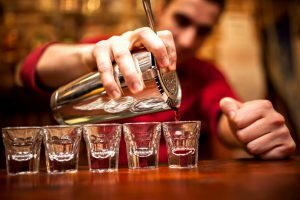 In North Carolina, there is no law that requires bartenders, waiters, or waitresses to have a bartending license, however, employers do highly recommend and look favorably on a prospective employee who has taken the initiative to complete a bartender license or bartender certification course at a reputable bartending school. Employers do place value in employees who have completed a bartending course and have received their bartending certification. By definition, a bartender certificate is not a bartender license per se, it is a piece of paper that gives you a special edge over your competition.